Top Left: creek before construction, showing visible washouts and erosion. The three remaining photos are after completion. 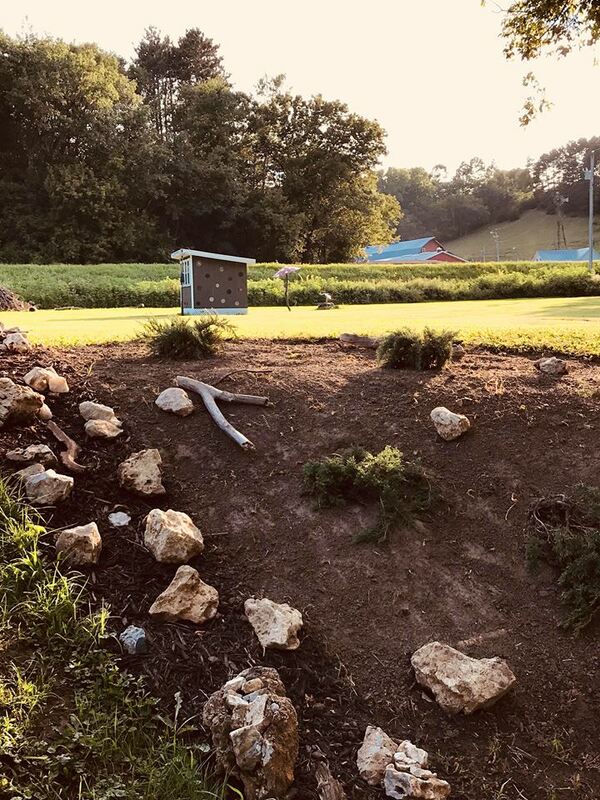 When April saw chunks of land literally falling into the creek surrounding her property after every heavy rainfall, she knew something needed to be done. By controlling runoff from her land, April is controlling the amount of sediment that moves into Jostad Creek. 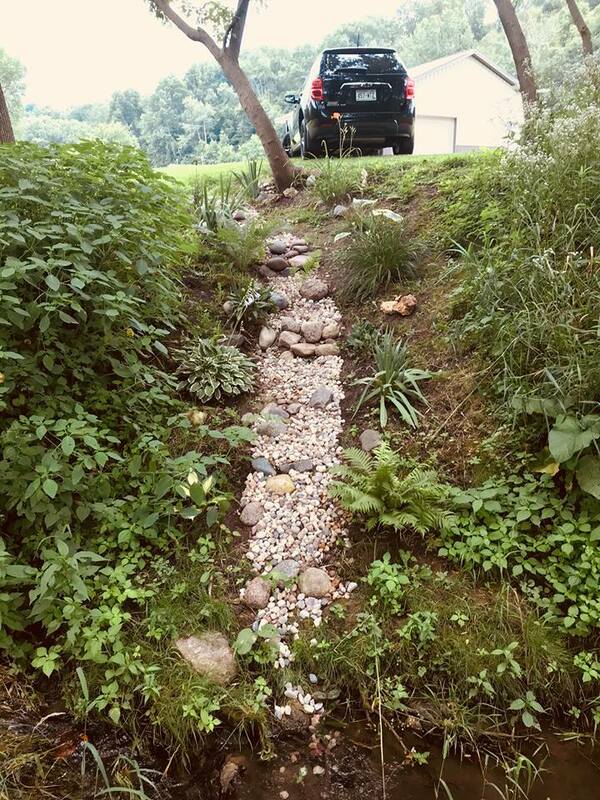 Sediment can destroy stream habitat. It can clog fish gills. It can make swimmers sick. And it can disrupt the natural food chain, causing massive declines in fish populations. 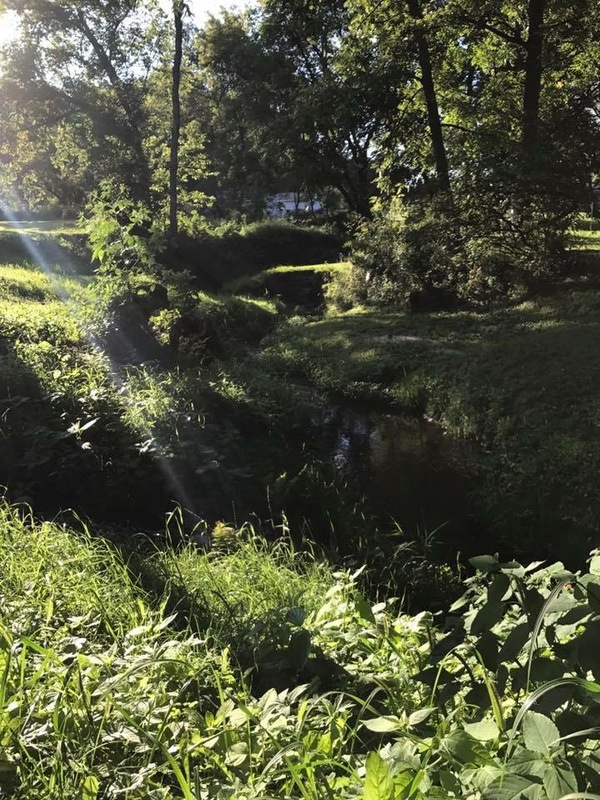 By controlling runoff from her land, April is helping to preserve Jostad Creek. 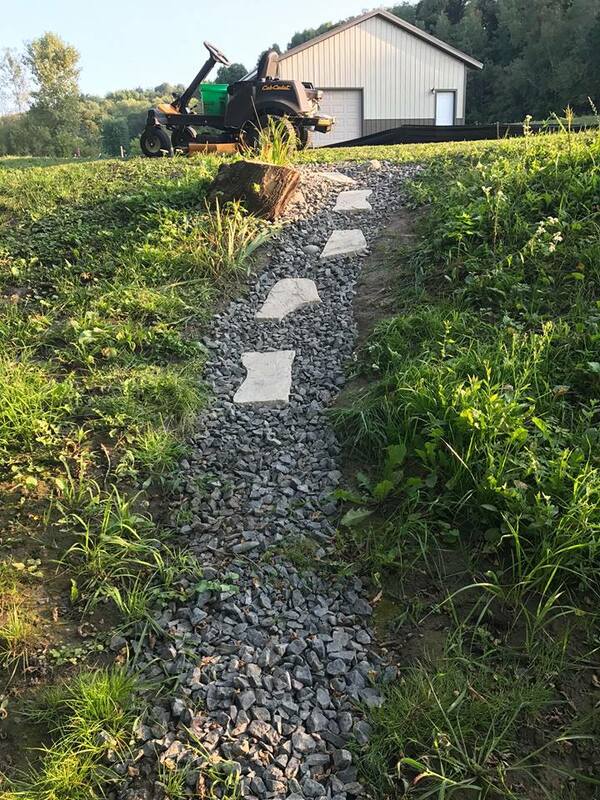 If you or your neighbor have taken on a similar project to control runoff, we want to hear about it! Nominate yourself or someone else for the Soak it Up! Project Award by September 23rd.